Media captionWhy is House of Fraser failing? Shoppers react: "We've got nothing left in the town"
In May, House of Fraser's Chinese owners Nanjing Cenbest reached a conditional agreement to sell a 51% stake to the Chinese owner of Hamley's, C.banner. The sale is conditional on the restructuring plan being approved. 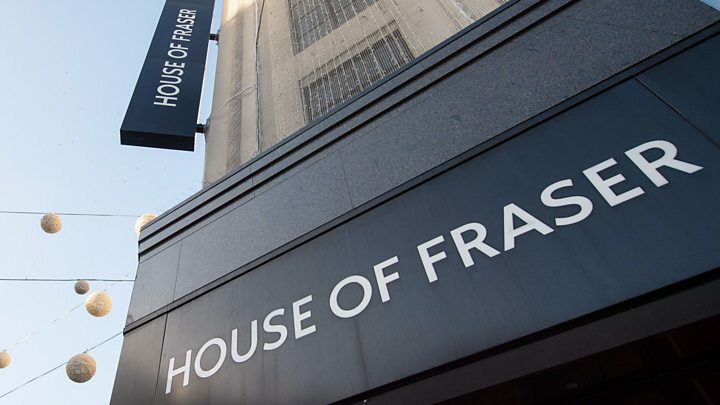 House of Fraser chairman Frank Slevin said the retail industry was undergoing "fundamental change", and the company "urgently needs to adapt". "Our legacy store estate has created an unsustainable cost base which, without restructuring, presents an existential threat to the business." Media caption"'We've got nothing left in the town"
Accountancy firm KPMG, which is overseeing the insolvency process, said the firm had been hit by "mounting pressures facing the UK High Street". In addition to the store closures, the department store chain is seeking to cut rents by 25% on 10 of the stores it is keeping open. Of the 31 stores it wants to shut, it is seeking a 70% rent reduction for seven months, after which the stores will close. House of Fraser has been living hand to mouth for months. Axing half its stores is a drastic attempt to save the business from collapse. This is a chain that's had more than its fair share of financial ups and downs over the decades, with a colourful array of owners. But the chain has gradually lost its relevance and suffered from a lack of investment. It's been struggling for a long time. And in the last year, the increasingly tough conditions on the High Street has exposed its weaknesses, with the result that its problems have finally come to a head. Even with these store closures, House of Fraser still need to have the right products and experience to pull shoppers into the stores that will be left. A CVA is an insolvency process designed to let a firm with debt problems reach an agreement with creditors to help pay off part or all of its debts and avoid administration or liquidation. Richard Lim, chief executive of analyst firm Retail Economics, said the plan to shut House of Fraser's Oxford Street store and 30 others was "a huge statement of intent". "The closure of such an iconic flagship store signals the massive restructuring task at hand," he said. 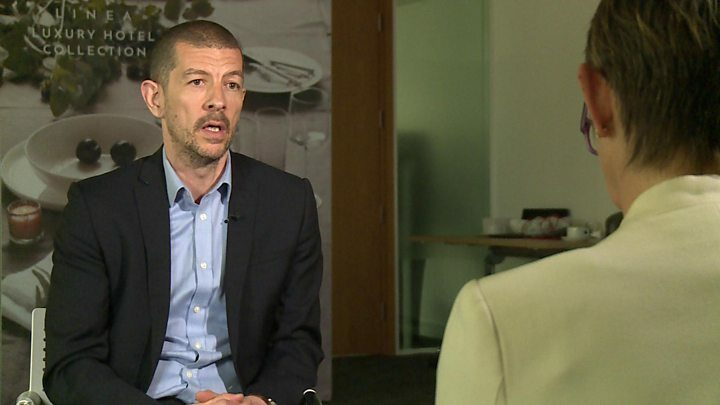 "Department stores are incredibly expensive to operate and the last few years have seen costs spiralling upwards from business rates, rents and National Living Wage." Shoppers outside the Oxford Street store in London expressed surprise at the news of the closure plans. "I'm shocked," said one. "I've been a customer here for 21 years. I thought, maybe, because it's Oxford Street, they may not close this one. People come to Oxford Street - even if it's just for a look round." 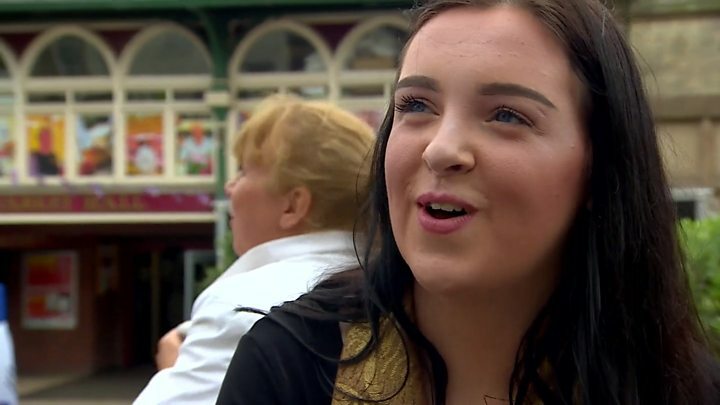 A second shopper said: "Very, very surprised. I do shop here and it's got all the things I need, make-up, clothes - it is a lovely store." House of Fraser started with a shop in the centre of Glasgow almost 170 years ago. It became a retail empire with more than 100 department stores, including iconic luxury store Harrods in 1959. Owner Hugh Fraser also acquired Kendals in Manchester and Rackhams in Birmingham. Hugh's son, also called Hugh, expanded the portfolio with a further 50 stores. The Fraser dynasty came to an end in 1985, when Mohamed al-Fayed took it over. The House of Fraser Group has annual sales of £1.2bn. It employs about 5,000 people directly and also has 12,500 concession staff.